GoPro cameras are sprouting faster than mushrooms in all directions and particularly on the helmets of offroad motorbike riders. Check out this article from Motocross Action Mag that offers suggestions for getting the best out of your camera. Models. It seems that there are new models every month. We have been impressed with all the popular Hero series. We were impressed with the original Hero and lauded the Hero2 for its much-improved features and options. The Hero3 is available in three editions: white, silver and black. The white version retails for $199.99 and is recommended for those looking to record footage without being overwhelmed by options. The silver edition costs $100 more and is designed for prosumers (amateur filmers). The black edition, at $399.99, is made for auteurs—video mavens looking for the most options and highest quality. Mounts. The MXA wrecking crew has a collection of six GoPro cameras. Sometimes we use all of them at once when making a film. We understand that shelling out over $1000 for a handful of GoPros isn’t helpful for your bank account. That’s why it’s important to be creative when mounting your GoPro. Most people opt for the standard top-of-the-helmet view using the supplied mount, but try to think outside the box. We’ve mounted our cameras to handlebars, triple clamps, fenders, shrouds and anywhere else we think might look cool. However, be wary of the ramifications when mounting your camera. To date we have lost two GoPro cameras because creativity prevailed over common sense. LCD screen. GoPro cameras don’t come with a built-in LCD (Liquid Crystal Display) screen. Fear not, as they sell an optional LCD Touch BacPac. At $79.99, it’s a smart buy. The screen takes the guesswork out of capturing the desired angle when mounting. If you’re unfamiliar with the various mounting positions and you don’t want to waste time experimenting and possibly miss out on recording opportunities, then spend the money. Additionally, the LCD Touch BacPac is capable of playing recorded video and photos at the track, so you’ll have peace of mind knowing that you got the shot. However, a word of caution: The screen significantly reduces battery life, especially when left on while recording. We recommend turning the screen off once you have secured the GoPro in the mounting position that you want. Of course you can skip the Touch BacPac, but in that case we suggest bringing a laptop computer to the track to ensure that documented footage is up to your standards. Resolution. High definition, 1080 pixels, is all the rage in the POV camera wars. This resolution records with the highest clarity (and very large file sizes). Often 1080 pixels at 30 frames per second is overkill. Use 1080 pixels when the camera is mounted on a stable object and for commercial work. For slow motion, wide angle shots and in low-light conditions, 960 pixels is best. For handheld shots and slow motion, 720 pixels is great. We recommend using 960 resolution at 48 frames per second. Clarity is better than 720 pixels, but the higher frame rate is beneficial for effects. It will allow you to slow down the footage in the editing process. Video modes. The latest GoPro models shoot video in 1080, 960, 720 pixels and WVGA (Wide Video Graphics Array) modes. WVGA has a smaller screen resolution than 1080 (1920x1080), 960 (1280x960) or 720 (1280x720). At 800x480, quality is sacrificed for the ability to capture up to 120 frames per second. File sizes are also smaller. Picture modes. We typically use our GoPro cameras for recording video; however, there are a myriad of picture-mode options. Photo burst can shoot a collection of images at a very high frame rate (up to a whopping 30 photos per second with the GoPro Hero3 black edition). It can also shoot time-lapse images (from 0.5-second to 60-second intervals). The time-lapse option is particularly neat for stitching together scenic views, such as the sun setting over a mountain range. Field of view. There are several fields of view available. The most popular is the ultra-wide view, which captures the biggest range of action. Use the ultra-wide, 170-degree view when the GoPro is mounted on your helmet, or if you’re going for a fisheye look. Some GoPro models are also capable of recording in medium and narrow views. Experiment with different fields of view and decide which angle you prefer. Battery pack. GoPro sells an optional battery called the Battery BacPac for $49.99. It doubles battery life (depending on recording mode) and is necessary for capturing long-duration time-lapse photos. Spring for the Battery BacPac if you are planning to shoot video for over two hours before a recharge. Memory card. Recording with a GoPro requires an SD (Secure Digital) memory card. These cards are available in a wide array of recording sizes (2 gigabytes up to 64 gigabytes) in microSD, microSDHC and microSDXC. Prices vary depending on recording size and speed-class rating. Spend the money and get a 16-gigabyte card with a speed-class rating of 10 or higher. This card will handle the rigors of the 0.5-second photo time-lapse setting. And if stuck between a name-brand memory card and an off-brand, always spend the extra money for a name-brand card. SOMETHING NEW TO WORRY ABOUT: DID MICHAEL SCHUMACHER'S HELMET CAMERA CAUSE HIS HEAD INJURIES? According to the London Telegraph newspaper: Investigators are exploring the theory that Michael Schumacher's helmet camera could have caused his helmet to shatter, leading to serious head injuries. 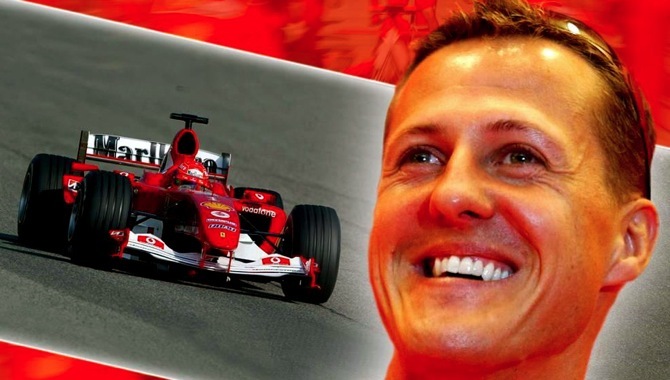 Schumacher suffered head injuries while skiing two months ago at a French resort. He fell and hit a rock and was put into a coma. French investigators believe that his helmet camera could have actually worsened the blow, and caused the helmet to shatter into pieces, but the camera was undamaged. The seven-time F1 World Champion has been in the Grenoble University Hospital since the accident.